Startups face unique challenges as they establish and grow their brand. 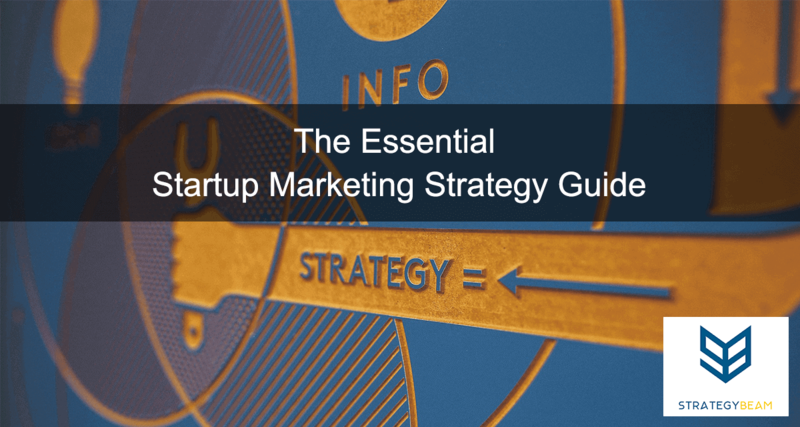 Not only does a startup need to define their target audience, build their products and services, and create a business plan, they also have to create a startup marketing strategy. Startup marketing programs can be complicated and often overwhelming. Many times startups lack the expertise and resources to compete with larger companies in their market. Instead of focusing on all the options that your startup can use to drive traffic, we will look at how to build a profitable marketing strategy for your startup. The first step to creating a successful marketing strategy for your startup is to identify your target audience. Many startups start with their technology and product and then try to determine their buyers. Trust me; this is the wrong approach because your customers will define the success of your business. You will waste a lot of money and time if you don’t focus on your clients at all times. Plus, creating content can be expensive and take a lot of time, so you want to be sure you are creating the right content for the right audience. Your startup marketing strategy could feature the best technology and leading product, but you can fail if your target audience does not buy from you. Always start by defining your target audience and then working backward to build your products and services around the target audience for your startup. Too many entrepreneurs focus too much on their product development before they understand their target audience. A startup marketing strategy that doesn’t consistently concentrates on the target audience will fail, because without understanding the needs of your audience your startup won’t be able to create, market, or sustain a successful business. A startup marketing strategy that concentrates on the target audience will have a better chance of success. Your startup marketing plan will be centered around your target audience and the needs of your customers. Your startup begins and ends with the needs of your target audience. A user person is a valuable tool to help your startup create relevant marketing material that will drive engagement customer sales. User personas are research-based models that represent your target audience. I recommend starting with three distinct user personas to cover the largest groups within your target audience. Later on, you can expand your target audience and dive deeper into each audience group. But at the beginning, you want to define the largest groups for efficiency and to get the most value out of your investments. Keywords are one way to help Google and other search engines understand your content. When Google can interpret your data, you will improve the visibility of your content. If your startup wants to drive engagement and grow your online sales, then you need to create online content that your target audience is looking for. Customer-focused search engine content will lead your online marketing efforts and help your startup secure early profits. The first step to choosing the right keywords for your startup is to ask yourself how your target audience will look for you. There are several tools I use to research the right keywords (list below), but the tools are only as good as the insight you have about your target audience. Think of keywords as points of reference Google will use connect your solutions with people looking for you. Social media is a great way to direct traffic to your website. Not only are the various channels free, but they are also vital to reach influencers, connect with your target audience, and promote your content. Social media marketing will need to be part of your online marketing plan. Your startup needs to gain traction and build your brand as quickly as possible, so people know who you are. Every startup is looking for different results from their use of social media. These goals depend on your industry, target audience, and content. However, the overall marketing strategy for your startup will determine what network you should use. When it comes to social media marketing, too many startups focus on the platform. Always choose a direction based on your customer and business products or services. Consistency and strategy will always outweigh technology. If you identify your target audience, align your products and services with their needs, and publish valuable content on relevant social channels then you will be successful. Producing content can be expensive and time-consuming. For this reason, you should use tools to help you manage content production once you choose a social media channel for your startup marketing strategy. Search Engine Marketing (SEM) is when you advertise within sponsored listings of a search engine or another platform. Using this approach can generate a significant amount of traffic, and you pay a set sum of money each time a user clicks on an ad or your ad is displayed. Have experience setting up campaigns (AdWords is complicated). Consistent messaging from the ads to your website. There are many factors to consider when implementing PPC into the marketing plan for your startup. Be sure that you have optimized your message, and test your landing page. Since you are paying for users to click on your ad or view your banner, then you need to make sure that your website is ready for them to take action. If your startup marketing plan calls for a high volume of qualified traffic, then Google AdWords will be a cornerstone of your marketing strategy. You only pay when someone clicks on your ad, so you can be confident that they are interested and qualified to take action. Geotarget only a small area at a time at first and grow your area once you receive more data. Use keywords throughout your ads and connect to your value proposition. The new Extended Text Ads provide additional space for you to tell your story and capture attention. Connect your Google AdWords and Google Analytics accounts together to receive advanced insight on what is working and how to improve. Focus on Branded Keywords to start. While this will not yield the most Impressions, it will reduce spend on wasted clicks. Do not use Broad Keywords. Only use Exact Match or Phrase Match keyword types. The Google Display Network lets you place banner ads on a variety of news sites, blogs, and other niche sites across the internet. These ads are an economical way to build your brand name and increase awareness. Only include sites that match your customer personas. Exclude sites from showing your banners that either doesn’t match the demographics or interests of your audience. Optimize your ads by limiting text and highlight an offer to entice your audience to return to your site. Don’t increase your Frequency Cap too high, because your audience will begin to ignore your ads. 4/day is a good place to start but monitor and optimize accordingly. Facebook ads could be a great option for your startup has a limited budget, less experience with marketing, and wants to reach a very targeted audience. Don’t display ads in the Right Sidebar. Only create ads for the NewsFeed, and exclude ads from showing in the sidebar. This is because the specs are different, and ads in the NewsFeed has much higher engagement. Depending on your product and audience, optimize for mobile. I have seen an average of 60-80% higher engagement through mobile devices than desktop. However, the desktop has a higher rate of purchase compared to mobile. By focusing on your audience at every step of the way then your startup marketing strategy stands a better chance of success. Take time to understand your customers then choose the channels and marketing platforms based on your target audience and your business. Feel free to reach out if you have questions about your startup marketing plan, or you want professional help to set up a profitable strategy!